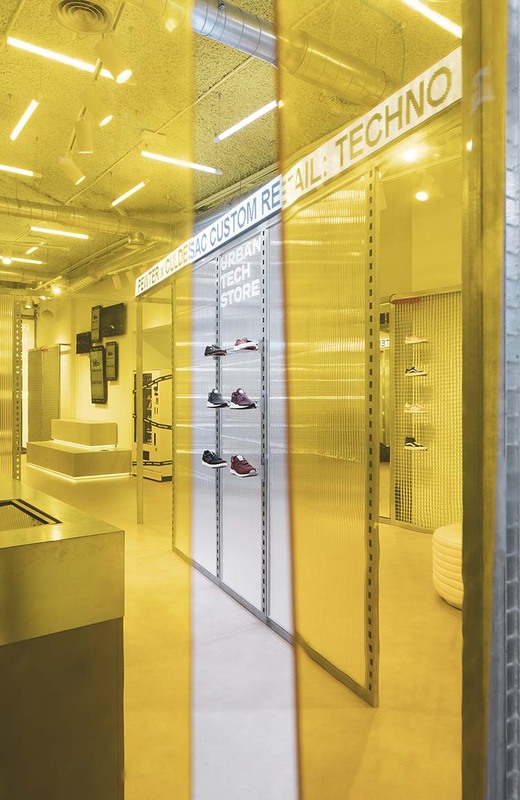 Seeking to be much more than a store, the provocative and irreverent Pewter is a lifestyle and sportswear concept in Gandía on the east coast of Spain. 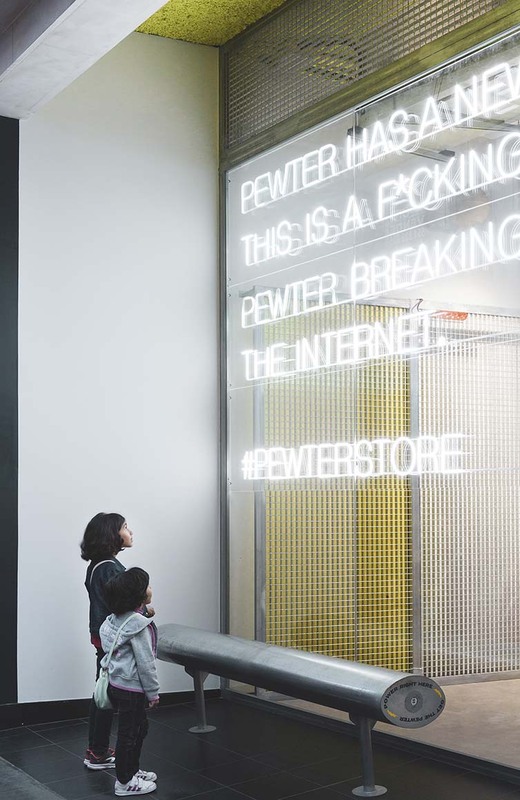 Conceived as a place to wow generations Y and Z to hangout, Pewter has immersed itself into the all-consuming world of social media; positioning itself as a worship ground for the selfie. 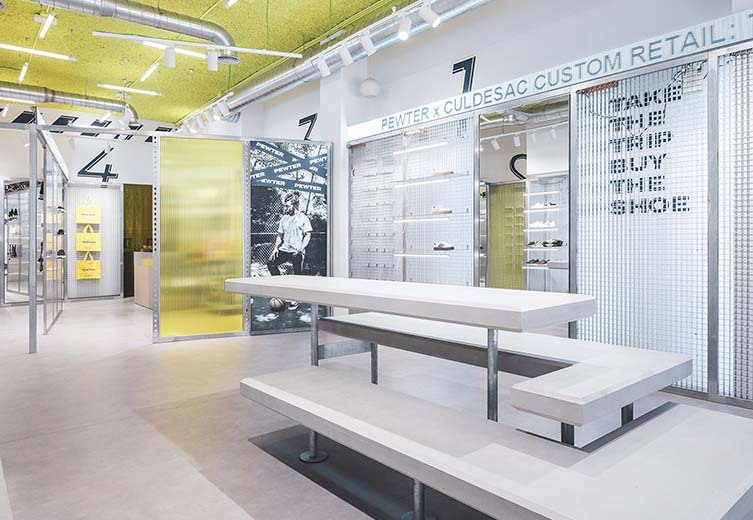 Merging urban and technological sensations, the retail concept—developed by CuldeSac™ Custom—is an explosion of stimuli; colour and messaging chosen on its ability to connect with the language and style of its target generations. 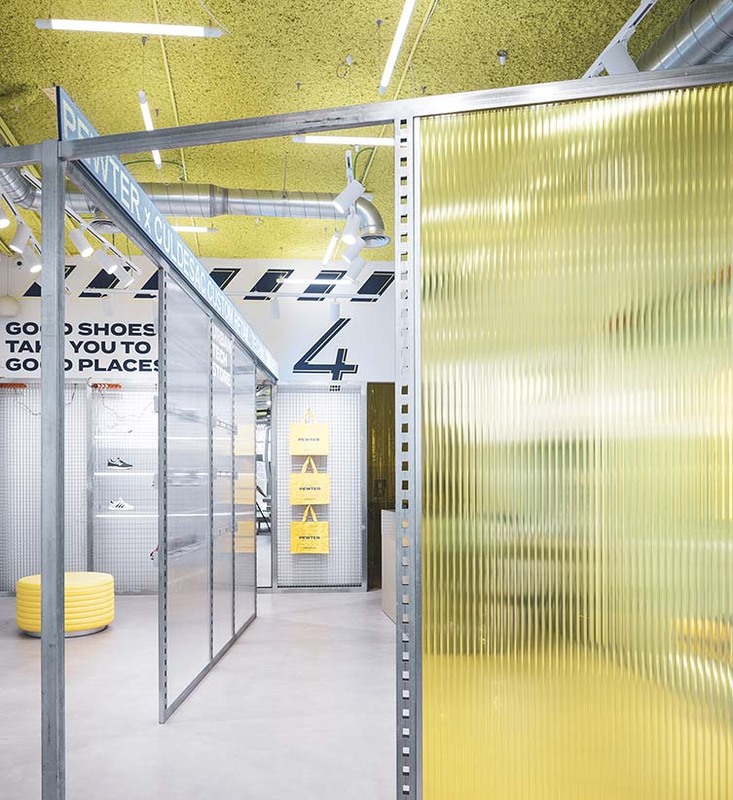 As the brand’s flagship property, the store intends to be an extension of the road, leading in its potential customers and winding them through a futuristic vision of the urban landscape. 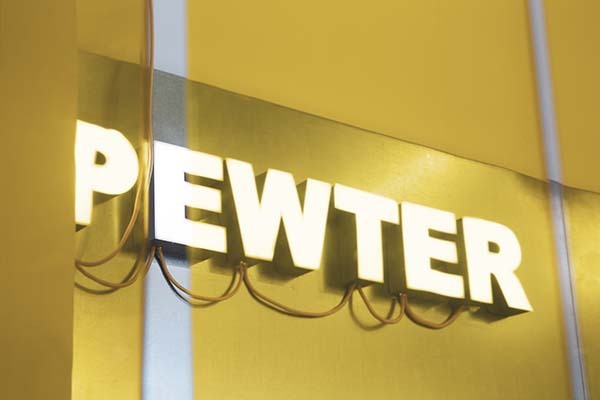 PEWTER HAS A NEW LIFESTYLE AND THIS IS A F*CKING SPACE FOR YOU. PEWTER BREAKING THE INTERNET. 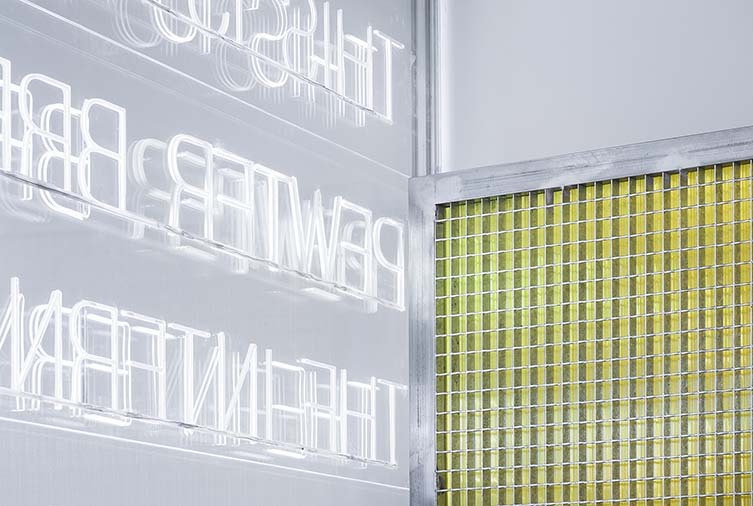 #PEWTERSTORE screams the signage from the shop’s façade—not just grabbing the attention of passers by, rather handling them around the scruff of the neck and dragging them inside. 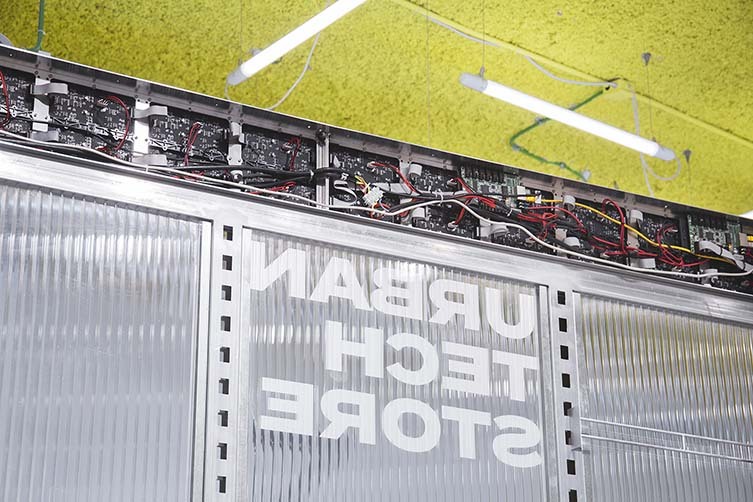 Things don’t get much quieter on the inside. 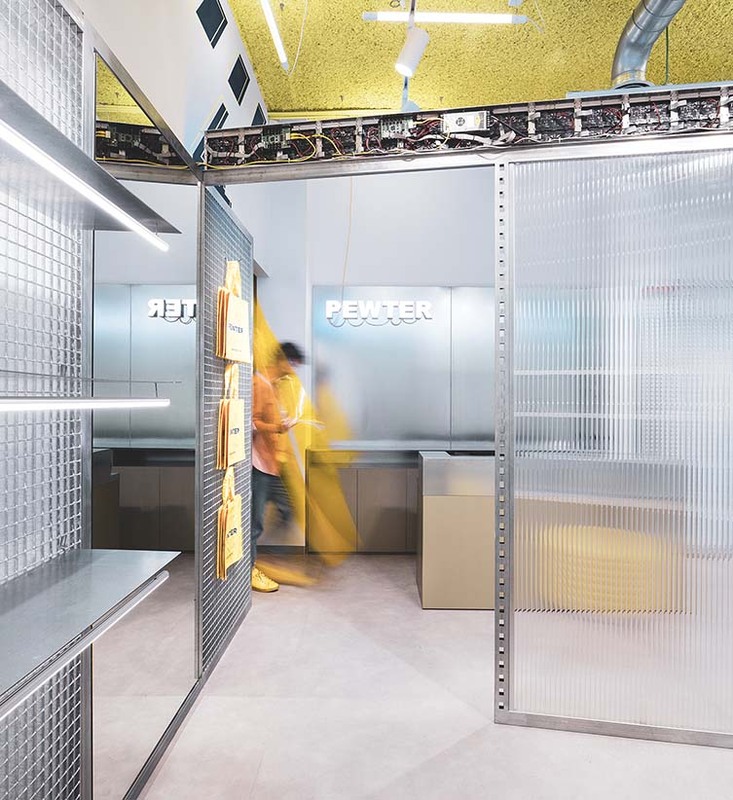 Situated under a roof of yellow rock wool, enhanced through a grid of LED tubes, exposed cabling and sockets define the impulsive philosophy of the brand and its authenticity; exhibiting what others keep hidden from view. 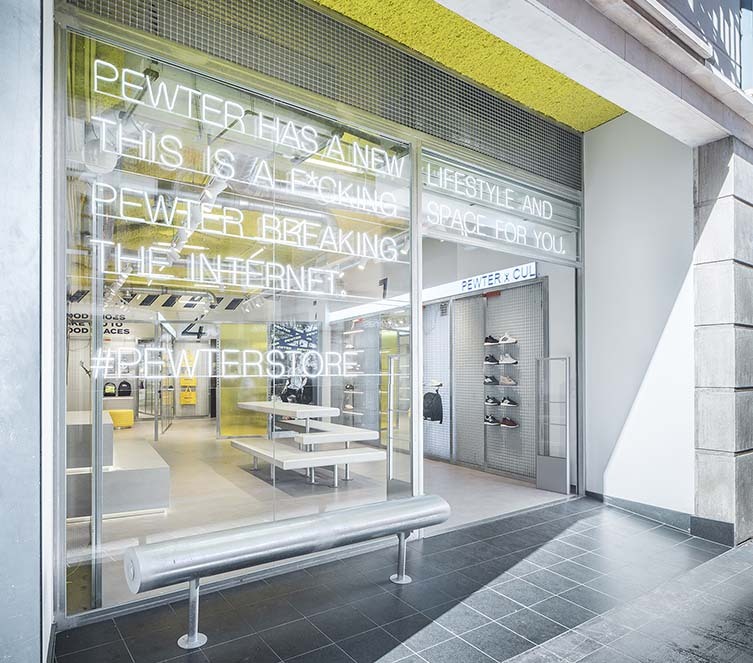 In an age where the retail store has become an extension of brand identity, where a place on the high street is your chance to shout to a new audience, Pewter takes its opportunity and runs like the perpetrator of a particularly chaotic smash-and-grab. 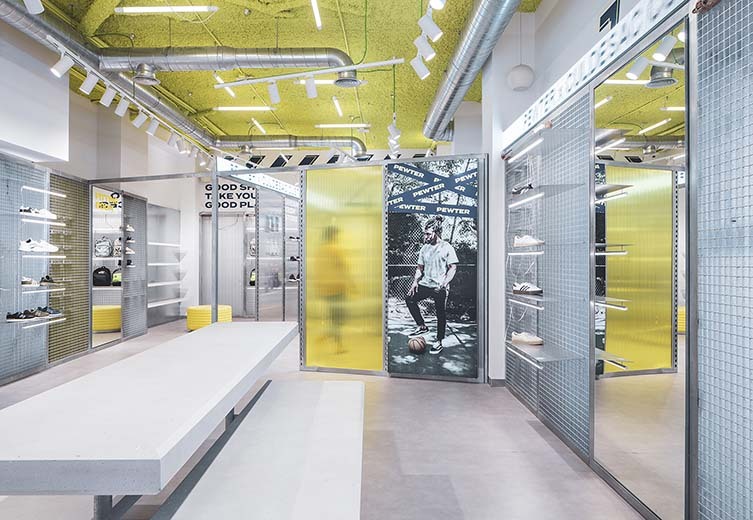 Whether its to snap up some new sneakers, or simply serve as a backdrop for a selfie, any attention is good attention for Gandía’s loudmouth lifestyle brand.